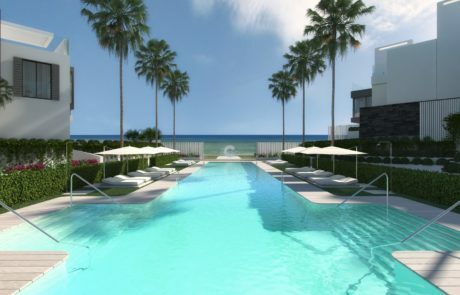 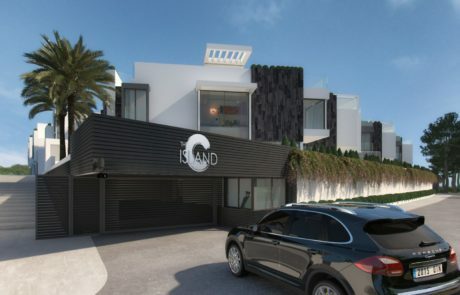 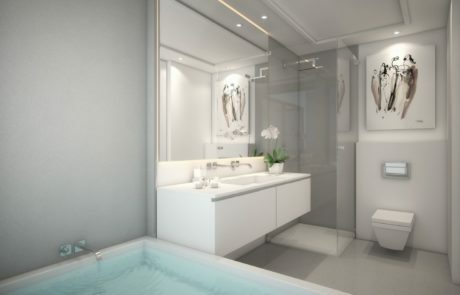 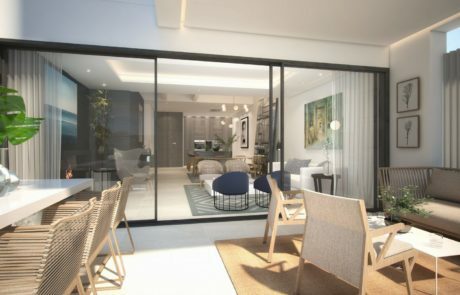 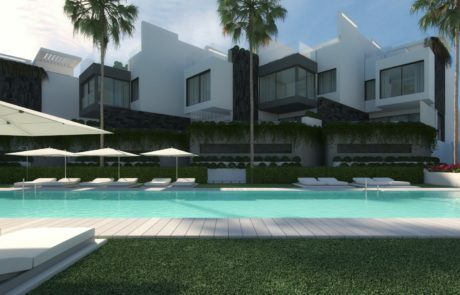 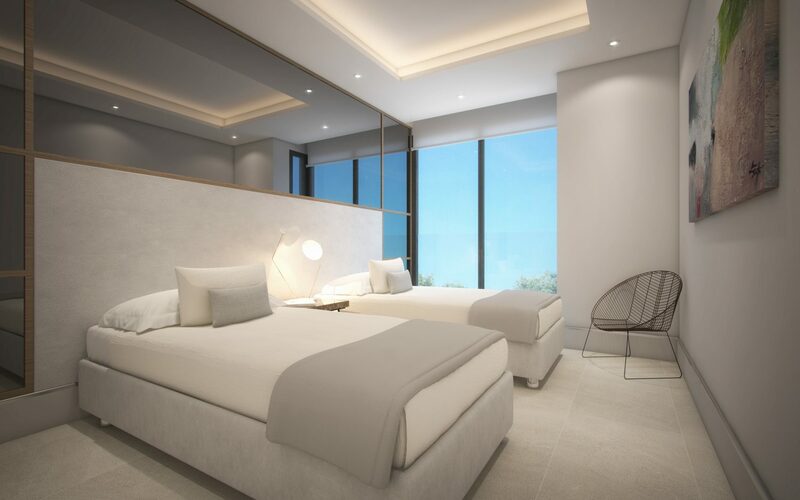 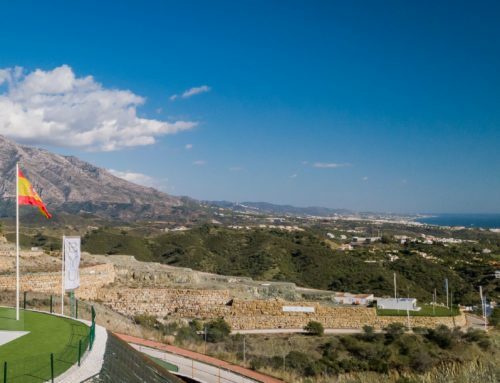 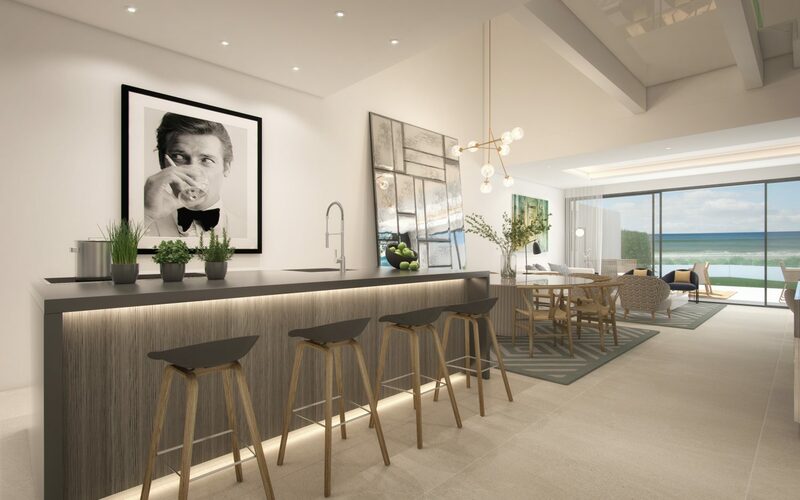 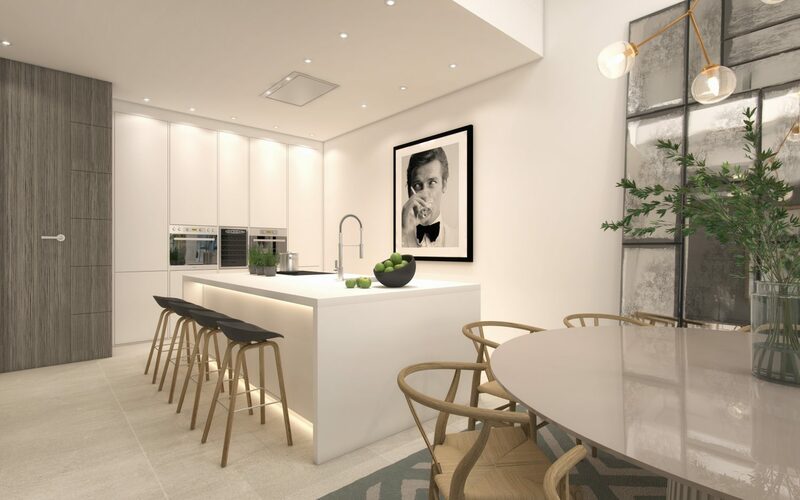 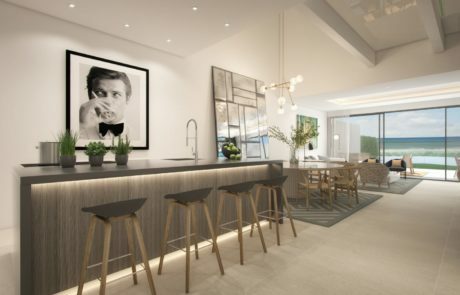 The Island is an innovative residential project located in a tranquil front-line beach setting on the Costa del Sol, offering absolute privacy, verdant surroundings and state-of-the-art amenities. 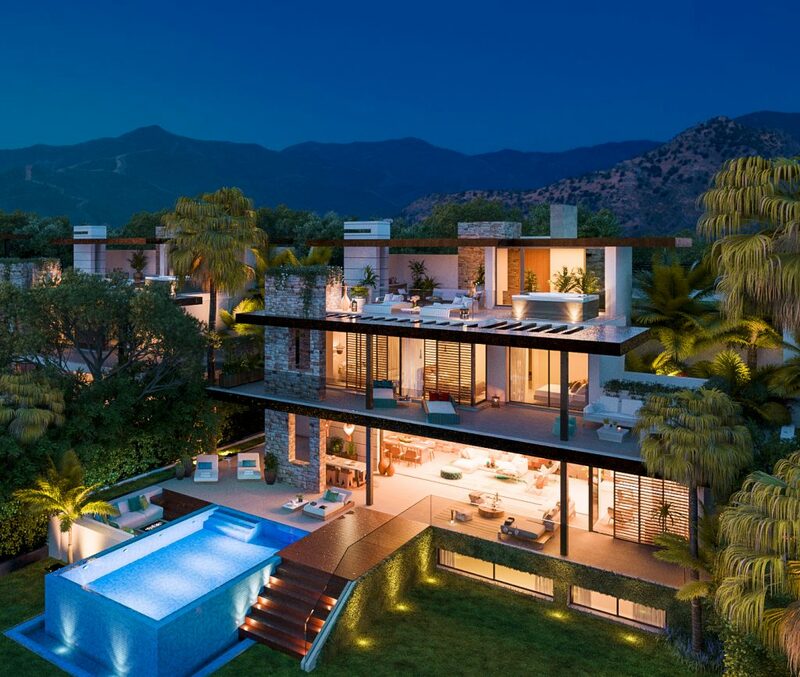 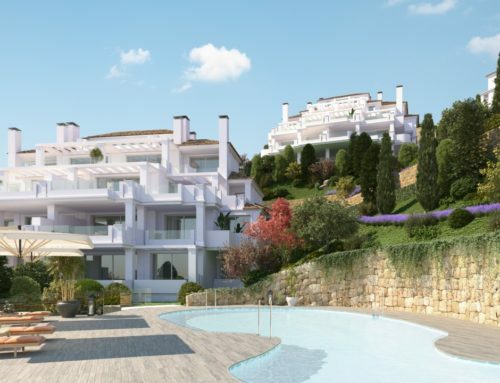 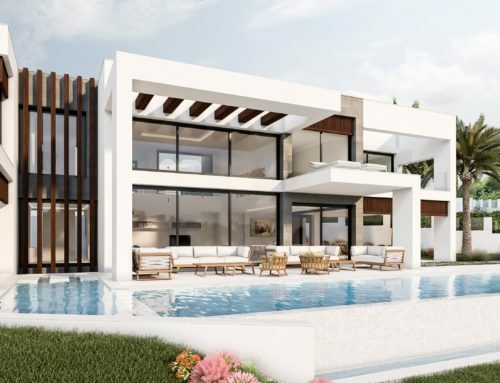 Located in the most exclusive part of Estepona’s western outskirts, the project comprises 50 state of the art town-houses with sea views. 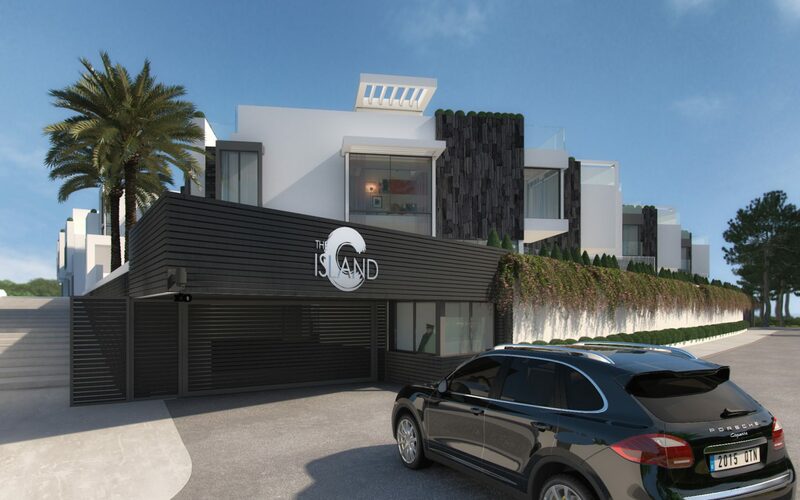 This privileged project was named “The Island” to capture the essence of the setting – a fully-gated haven of serenity and security in the heart of one of the Coast’s most popular residential areas. 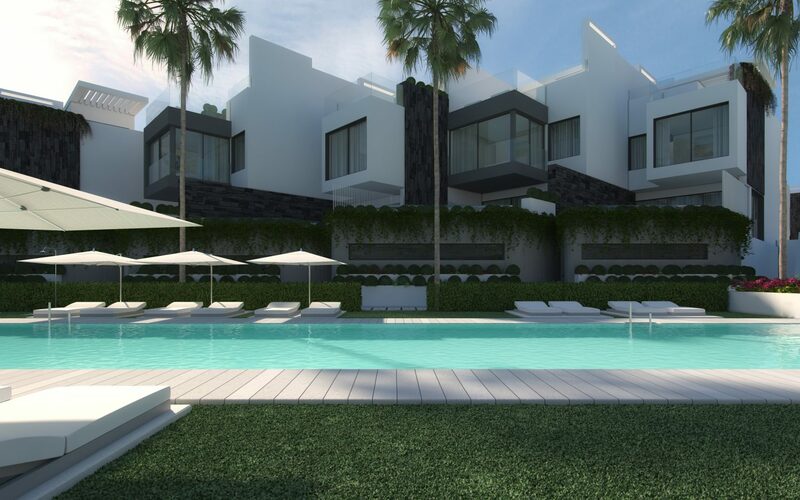 It is well isolated from other nearby urbanisations and protected by a wide pine wood and public green areas. 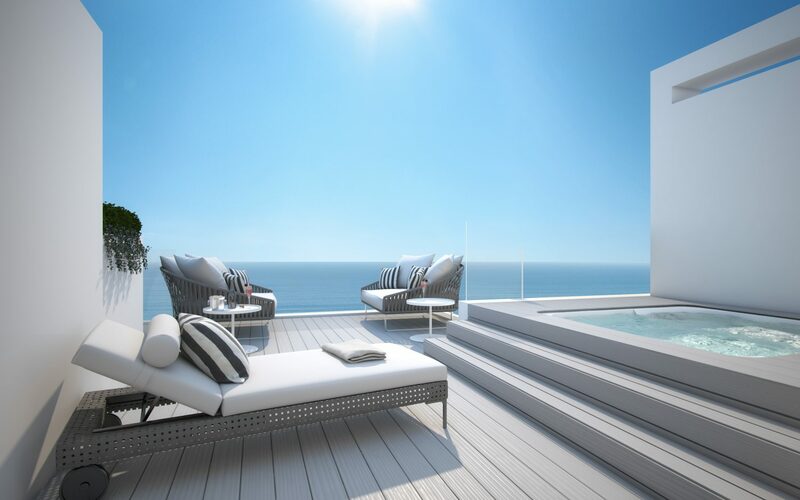 The Island comprises, three, four and five-bedroom exclusively-designed luxury town-houses, from 319 to 449 square metres including underground area, terrace and solarium. 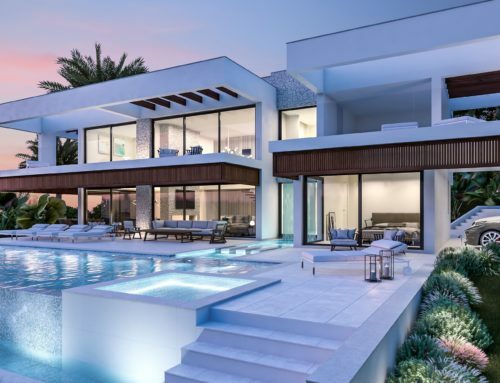 An innovative design that enhances natural lightning, including architectural details, double heights and open kitchens that provide a spacious feeling. 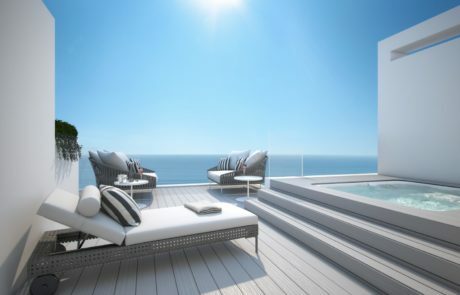 Each town-house has a private roof terrace with jacuzzi, pergola, floating floor and barbecue area. Its own underground garage has a direct access to the house through an ample laundry and service area, as well as communal parking spaces for guests. 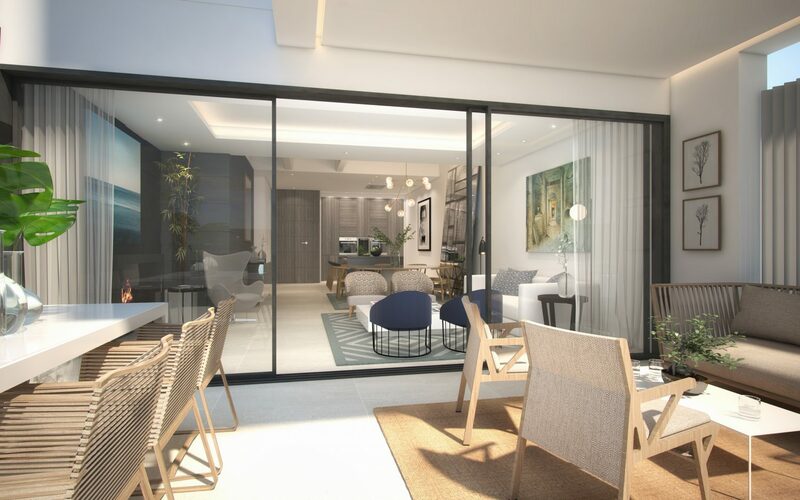 The homes also have a fireplace, under-floor heating (water-based in living areas and electric in bathrooms), hot and cold air-conditioning, and finished and upholstered wardrobes, plus the latest Domotic home systems.